To say that Crystal Ignite is excited about returning to Australia to tour would be a total understatement. Crystal is bloody ecstatic! Backed by a stellar new group, the five piece outfit are embarking on an eleven date national run of shows in support of Crystal’s powerful new single ‘Everything You Break’. Best known to audiences as the dynamic and empowering frontwoman of globetrotting hard rock act Bellusira (who have sadly called it a day), Crystal Ignite has kickstarted this brand new chapter of her career by pouring her creative heart and soul into an EP’s worth of sessions in Melbourne just last month. 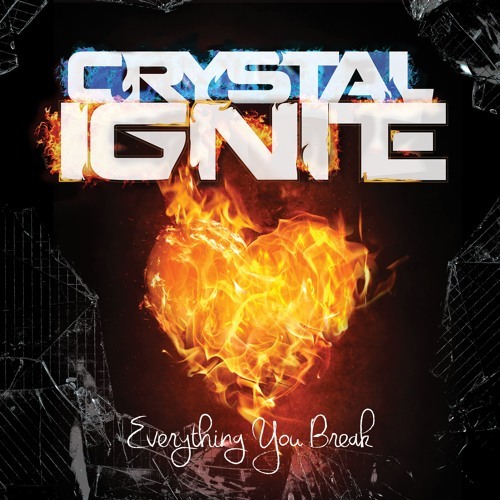 Everything You Break (ft Evanescence's Ben Moody on guitar) is a an eclectic mix of tribal drum driven alt-pop that still draws upon Crystal’s love of all things rock, while telling a tragic tale of love gone wrong with the initial deception and eventual personal redemption that encompasses it. As a singer-songwriter with Bellusira who released two albums and toured throughout the US, Australia and New Zealand with names such as Halestorm, Seether, Hell Yeah, The Misfits and Fly Leaf, the band also landed on major festivals with Korn, Rob Zombie, Five Finger Death Punch and many more. Crystal’s relocation to Los Angeles also saw her work closely with co-writer Will Hunt (Evanescence) and band member Koichi Fukuda (Static-X). Having also just secured a world-wide licensing deal with Superpop administered through Extreme Music and Sony/ATV, Crystal Ignite is set to unleash her powerhouse vocals and songs once again, showing why she’s one of the most talented women in rock today.